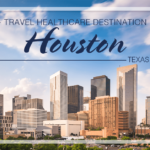 One of the biggest perks of being a healthcare traveler is the opportunity to explore destinations that you may not have otherwise, and with a 13- week or longer assignment you’ll have lots of time not only to experience a city’s most popular attractions but the more offbeat too. Delving into those lesser-visited spots offers a much more authentic experience for a better glimpse of what it’s really like to live there. But if you’re new to an area, how do you know where those hidden places are? Of course, you can always talk to the new friends you’re bound to make on the job, like traveling healthcare professionals who’ve been there for a while, as well as those who live in the area permanently. But, there are other ways to gain insider knowledge you might not have considered. There are apps for practically everything these days, including apps for discovering offbeat attractions. Roadside America is arguably the most popular, and it’s ideal for road trips that take you to that new healthcare assignment or beyond. This road trip tool will lead you to some of the more bizarre, offbeat places the RoadsideAmerica.com site is famous for. Having been around for over two decades now with tons of user-submitted locations, it currently offers over 12,000 offbeat attractions, making it hard to beat. It includes maps, directions, photos, stories and tips, all for less than a cup of java at Starbucks. 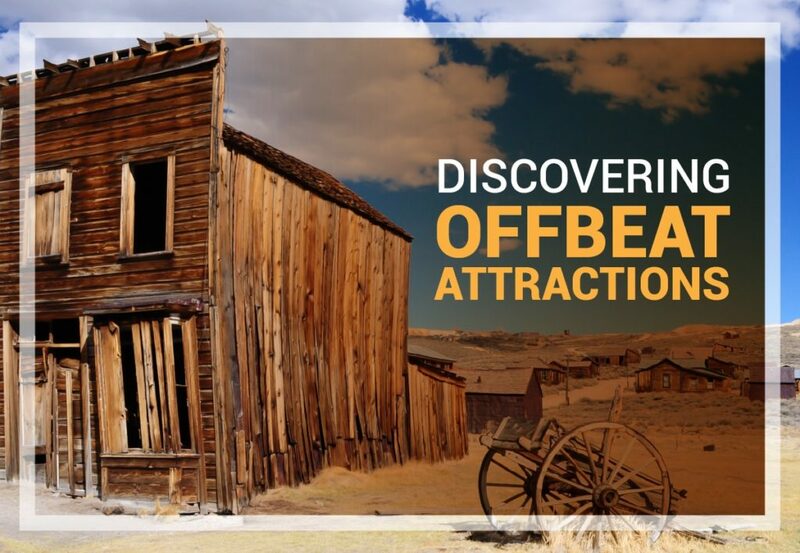 Offbeat Attractions is a newer, yet highly-rated app that lists spots you wouldn’t usually think about visiting, from the unique and strange to the bizarre and fun. There are a number of great websites for searching out offbeat attractions too. In addition to RoadsideAmerica.com, Atlas Obscura is another one of the best, continually turning up the weird and wonderful across the nation and well beyond. As its site explains, this is where you’ll find everything from homes that were built entirely from paper to bone churches and books bound in human skin. Oddity Central is worth checking out too, focused on all of the “oddities of our world,” which includes unique travel destinations, bizarre events and even odd art. 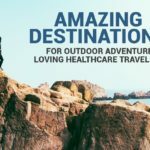 Working so closely with all types of healthcare travelers, and visiting many of the travel job destinations ourselves, we’ve got a little insider advice for you as well. Lands End Labyrinth, San Francisco, California. Local artist Eduardo Aguilera is the man behind the incredible labyrinth that sits along the windswept shoreline at the mouth of the Golden Gate in San Francisco. Inspired by traditional walking labyrinths typically found at monasteries, it’s made from grapefruit-sized stones and aims to provide a place for meditation and quiet contemplation, making it an ideal spot to relieve stress at the end of a busy work day. Bishop Castle, Rye, Colorado. Easily accessed from either Colorado Springs or Denver, Bishop Castle sits in the San Isabel Forest and offers the chance to explore a real-life castle that comes complete with spiral staircases that rise up into the skies above, gorgeous stain-glass windows and a dragon that shoots fire thanks to a little assistance from a hot air balloon burner. Construction has been ongoing for nearly a half-century now, with owner Jim Bishop’s goal to complete it before he dies. Cadillac Ranch, Amarillo, Texas. If you’re on a travel job that will take you anywhere near Amarillo, Texas, don’t miss Cadillac Ranch. Constructed in 1974. It includes 10 sets of tail fins from classic Cadillacs dating from the late 1940s to the mid-1960s that are covered in graffiti and buried at the same angle as the Great Pyramid. If bring spray paint, you can even tag the cars yourself, it’s encouraged. Goldfield Ghost Town, Apache Junction, Arizona. Once a bustling turn-of-the-century town at the foot of the Superstition Mountains just east of Phoenix, Goldfield Ghost Town offers the chance to experience the Wild West. You can tour a gold man, pan for gold, ride the only narrow-gauge train in the state, watch gun fights and check out the historic buildings. Red Hook Grain Elevator, Brooklyn, New York. Few other than New Yorkers know about the Red Hook Grain Elevator, located at the Gowanus Canal in an abandoned refinery factory, but this is one of the best spots to take in a breathtaking view of the Manhattan skyline far away from the crowds.